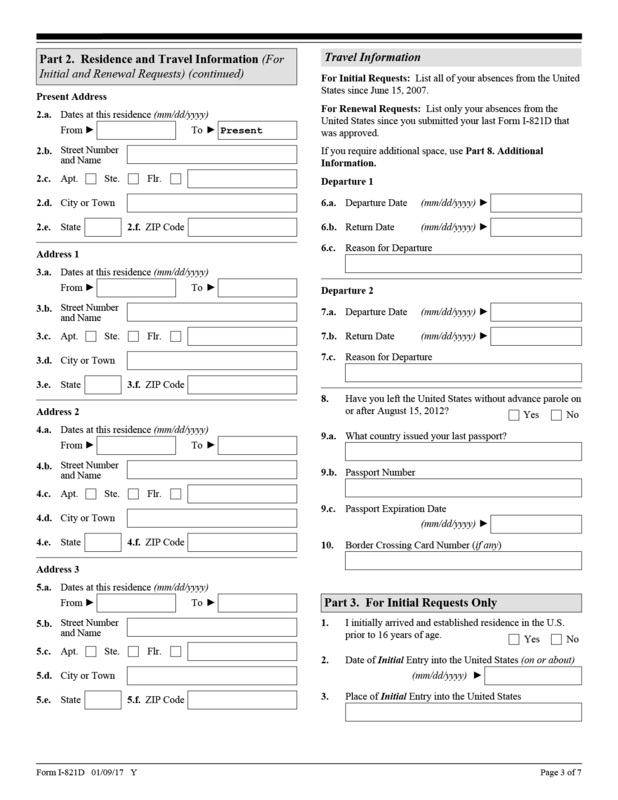 The Department of Homeland Security has received nearly 2 million applications for DACA — those who applied fear what the government could do with the personal information now that the program is being rescinded. 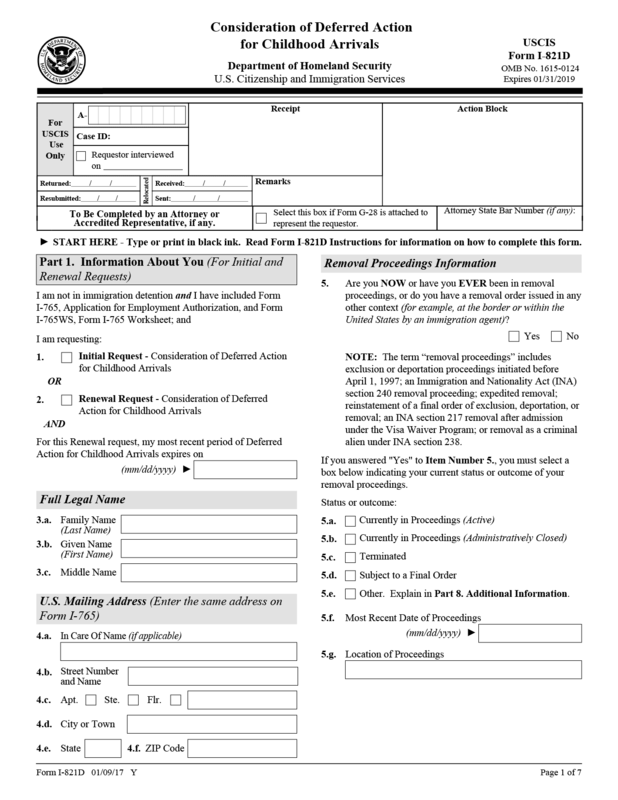 The Department of Homeland Security has received 1,889,311 Deferred Action for Childhood Arrivals applications since the program began in 2012. Its applicants are undocumented youth, brought here as children, who hope to stay in the US despite not having legal papers. The Trump administration announced Tuesday that it will rescind the Obama-era program, inciting fear in DACA applicants and recipients that the voluminous personal information they submitted could be weaponized against them and lead to their deportation — something they were promised would not happen. Homeland Security officials said they won’t share this information with Customs and Border Protection or US Immigration and Customs Enforcement. But advocates worry that this promise will be broken, given the Trump administration’s anti-immigration rhetoric and policies. 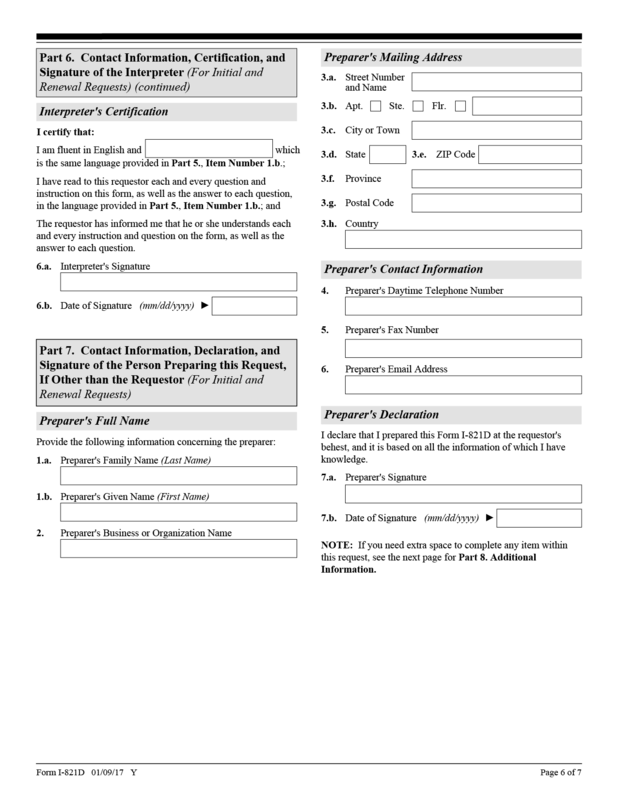 And advocates say the actual document DACA applicants have to fill out, known as Form I-821D, gives plenty of cause for concern. 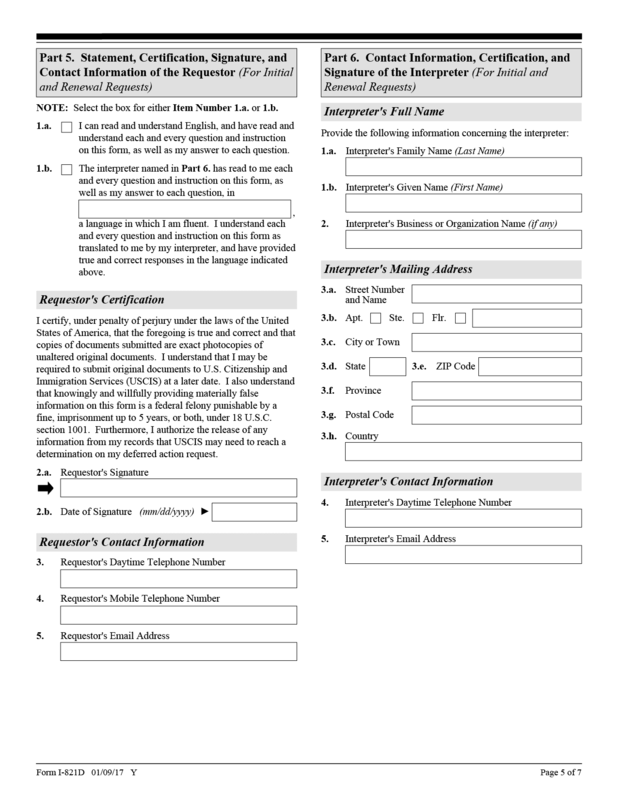 The DACA application form is seven pages long — the first four deal with personal information, the final three with administrative information. 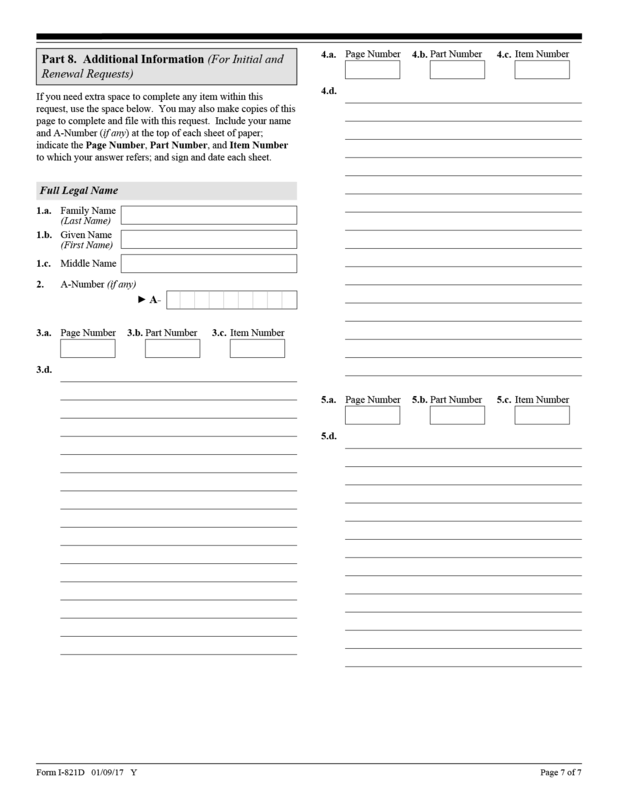 This includes current address, the country of birth, and information about ethnicity and their appearance. 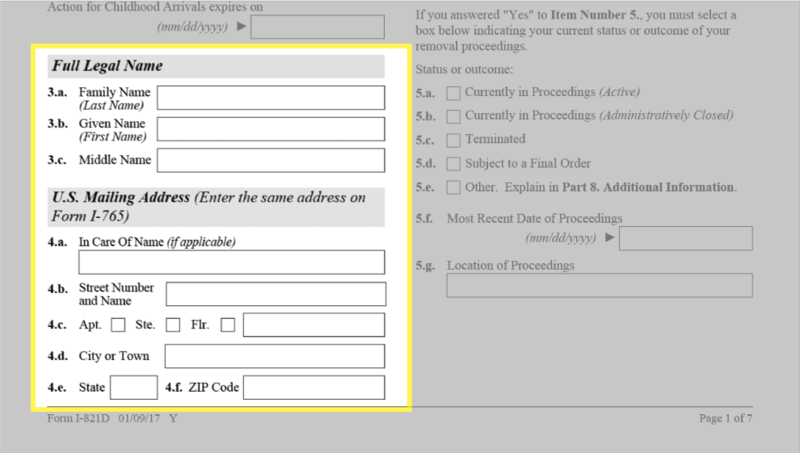 An applicant’s full legal name and mailing address may allow ICE to find and track undocumented immigrants. 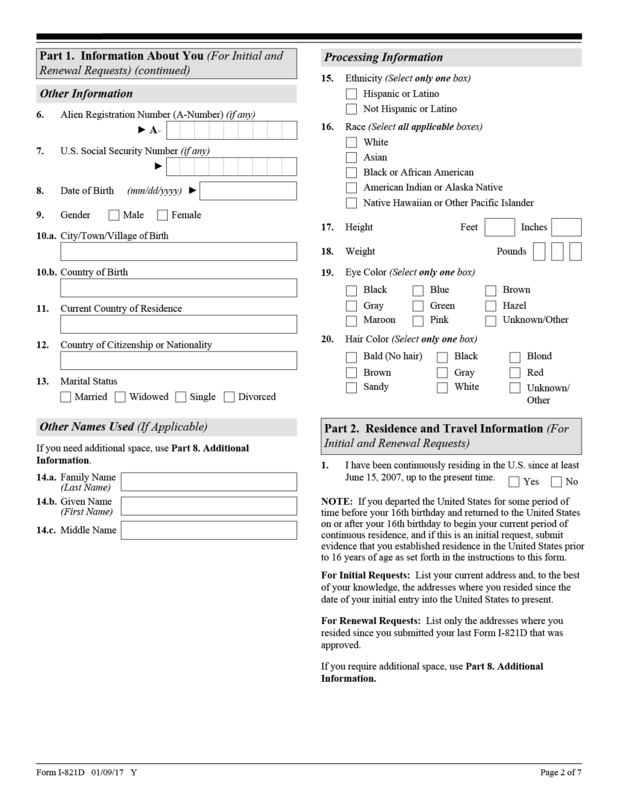 DACA applicants have to submit information about their height, weight, eye color and hair color in their application. At a later point, they may have to submit DHS biometric information like fingerprints and a photograph. The collection of biometrics and images raises privacy issues, said Neema Singh Guliani, a legislative counsel with the American Civil Liberties Union Washington Legislative Office. There has been increased political pressure to implement biometric entry-exit systems to better keep track of immigrants on temporary visas and prevent them from staying beyond their permitted time. Delta and JetBlue have also recently announced collaborations with CBP to test the efficiency of facial recognition technology during the boarding process. 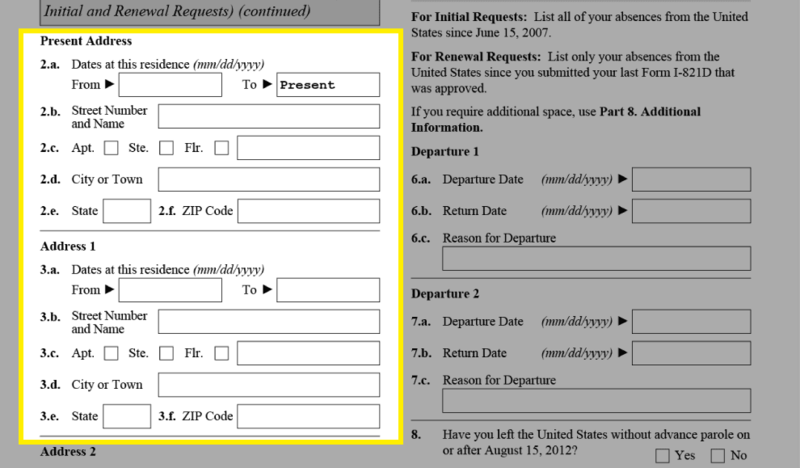 This page asks for a history of past addresses (there are five fields) and any travel outside of the US since June 15, 2007. To prove that they have been in the country continuously since June 15, 2007, applicants have to provide various addresses of residence, which may subject family members and roommates who have lived at the same addresses to scrutiny from authorities. “Because we’re dealing with young people, we’re also dealing with their family and their parents,” said Frances Valdez, who is an immigration lawyer at United We Dream and has worked with numerous DACA applications. 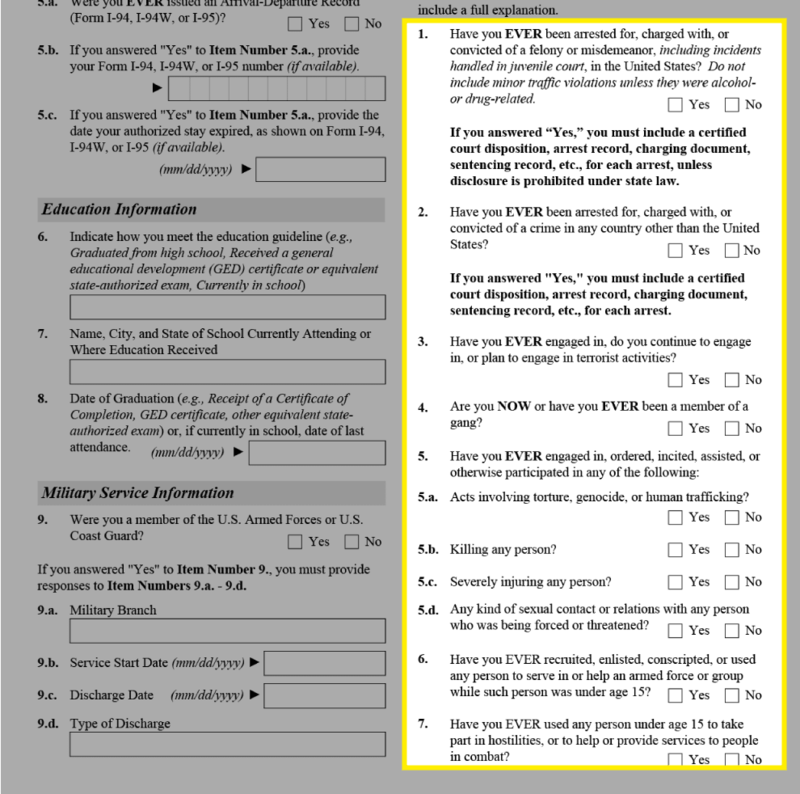 This section requires applicants to indicate whether they have a high school degree or an equivalent degree; whether they have served in the military; and whether they have ever committed a crime. 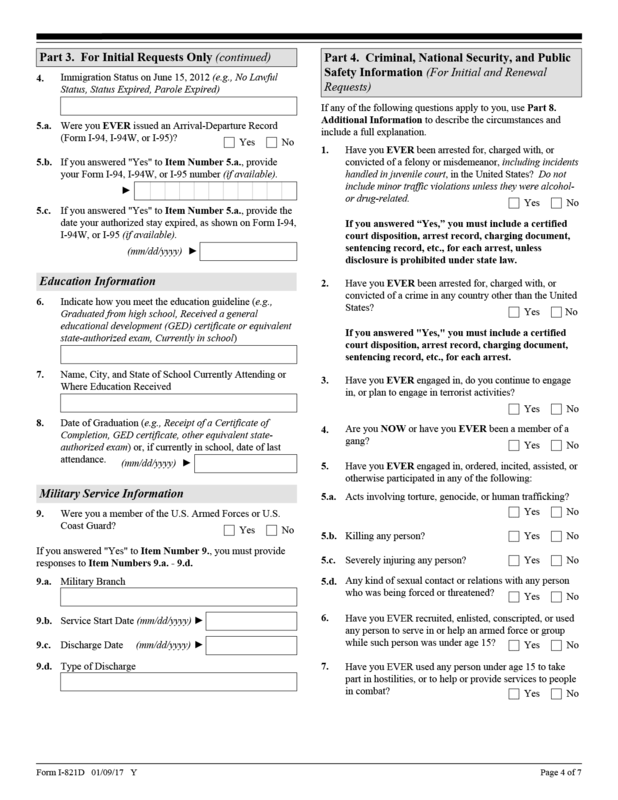 Applicants answer various questions around their criminal past — which includes felonies like committing acts of terrorism — and also includes non-criminal acts like being part of a gang and misdemeanors like DUIs. This information could also lead to increased scrutiny from ICE, said Singh Giuliani. The DACA database shows just how sophisticated the data collection around immigration has become — and what information authorities have access to as political tides turn. “Agencies didn’t use to talk to each other. Back then you’d take a fingerprint on paper. Then 9/11 happened and people blamed immigrants and then they introduced mass data collection,” said Valdez.